Happy New Year to you and yours! I hope you have a safe and fun evening of celebration! And remember….Inspired Action! Thank you Andy!! 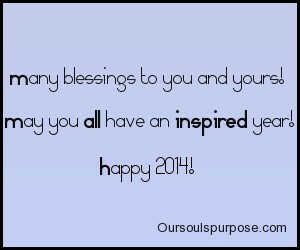 Much joy to you and yours in 2014!